. As we get to the end of another calendar year I decided to re-read one of my all-time favorite books. The book is mostly biographical and was written with and from the point of view of Jesse Lauriston Livermore. Stock and commodity trader. The events depicted in the book took place from the end of the 19th century to the early 1920s. Livermore lived in the age of telegrams, ticker machines and manually updated quote boards. It is difficult to imagine in these days of trading via smartphones, instant information via social networks, and high-frequency trading. Surely this book is obsolete. But, as Livermore himself points out, people do not change. The twin forces of fear and greed are exactly the same today. People still dream of getting rich quick. Other people take shortcuts and try to trick other people. There are still insiders and outsiders, each trying to take advantage of the other. 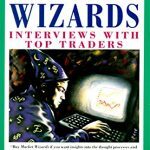 First and foremost, this is a how-to book about trading. The book repeats the key messages time and again. It is also a very useful historical account of the financial markets that is interesting as well as useful to any serious trader. From the very beginning, Livermore was fascinated by the markets and tried to understand them. In his early years in the bucket shops of New England, he developed his skills at tape reading. In order to remember the movement patterns for each stock, he would write his theories down in notebooks. After a while, he found that he was able to predict how a stock would behave based on its price movement. He placed his first trade at the tender age of 14 and soon left his job to become a full-time trader. His quantitative approach to price action will be familiar to many modern-day traders. 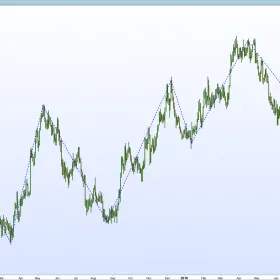 At first, Livermore was a purely technical trader. His system gave him an insight into the short-term movement of stock prices and he traded on these fluctuations. His style of trading was to develop over many years but he continually studied and researched the markets. Livermore’s trading success forced him out of the smaller bucket shops and he was soon trading at the largest company in New England. But even here he was exposed to sharp practices. Trading a large short position, he realized that the price was not behaving the way it should do. Sensing that something was up he quickly closed out the trade moments before the price was squeezed sharply upwards. Throughout the book, Livermore describes times where he closed or changed his position based on how the price behaved. There is always a reason for why prices move. But as traders, we cannot expect to understand why at the time. If prices move contrary to expectations we need to accept that our theory might be wrong. The shorter your timeframe the quicker your thinking should be. Livermore arrived in New York flush from his success in the bucket shops. He knew his price action system could beat the markets but he needed to move on to trading at a proper brokerage. It took him a while to realize that his system was not profitable outside of the bucket shops. Transaction costs and delays meant that he was not able to buy and sell quickly enough to make a profit. He continued trading in New York but before the end of the year his account was wiped out and he was broke. Every time we have a big loss in the markets there is a lesson to be learnt. It is our responsibility to learn these lessons. Simple things like analyzing our trades and keeping a trading diary are crucially important to developing our trading method. Livermore continued his same price action strategy despite losing his lack of success in New York. He decided to rebuild his account by trading back in the bucket shops again. He knew that his strategy worked in the bucket shops. Travelling to St. Louis and using a false name he was able to trade and earn some money. Losing traders do not plan their strategy. They act impulsively and allow themselves to be pulled about by the whims of the market. Livermore planned his trades in detail. He studied price action is incredible depth and also learned and studied fundamentals. Livermore made his reputation as a successful short seller during the Panic of 1907. Prior to the panic, he had been selling short in accordance with his views on the market and the general economy. As the situation got worse he stayed short and saw the paper value of his positions increase. A succession of crises hit the markets and in October 1907 the markets began to crash. Finally, the money markets seized up and required a personal intervention by financier JP Morgan to organize a bailout. At close to bottom of the market with the New York Stock Exchange close to collapse Livermore finally took the profits on his positions. He made his first million dollar profit but most importantly he realized that he had finally learnt what it was to trade intelligently in a big way. The only ways that we can make money trading the markets is by making more money on our winning trades than we lose on our losing trades. Having a few really big winning trades makes it much easier to be profitable. In Reminiscences, Livermore describes how a sneaky tipster tried to get him to buy a stock by introducing the idea through his wife. Knowing how resistant he was to tips, the person approached his wife telling her that there was easy money to be made by buying shares in a tin producing company. The plan to get the wife to suggest the company to Livermore backfired when his wife decided to invest herself in the company. The price quickly declined and his wife soon lost money on her trade. The situation was worse because Livermore himself was selling the stock short! Every single person in the world is affected by the suggestions of other people. Of course, as traders, we can take on board the opinions, thoughts and suggestions of others. But never take trades on someone else advice unless you agree with the trade yourself. One of Livermore’s favorite tactics was to buy when a stock went above its ‘par’ price. This referred to the original value of the stock when it was issued. This could be compared to buying when a stock trades above a significant range or whole number. He would then buy more if the price continued to increase. No matter how expensive the price is, the market can always go higher. Equally, however cheap a market looks, it can always go lower. Livermore does not recommend blindly pyramiding every trade but rather to make sure you take the maximum value out of your good trades. Livermore is aware enough to give examples of his own psychological weak points. He tells a story about how he was sold a set of Walter Scott novels for $500. This occurred when a salesman talked him into the sale. As soon as he signed the contract, he realized that he did not want the books, had nowhere to put them and nobody to give them to! According to Livermore, this shows how he is not immune to the influence of a persuasive personality. This weakness was to cost him millions of dollars trading in cotton as he listened to the incorrect advice of a persuasive cotton dealer. We all know how hard it is to identify our own strengths and weaknesses. Most of the time we can get by avoiding certain situations or relying on other people to make allowances. Unfortunately, the financial markets will ruthlessly exploit a weakness that causes us to make trading errors. We must always be honest with ourselves and make sure that any weaknesses do not affect our trading. The book mentions time and time again about the tendency of markets to trend. Livermore places crucial importance on his judgement about whether stocks are in a bull market or a bear market. This judgement is partly based on price action and partly based on his view of the fundamental factors. Take a step back from the chart and the current economic conditions and decide whether you bullish or bearish. Once you have decided, only trade in that direction. In 1916 Livermore took about 3 million dollars of trading profits. He was bullish with everyone else at the beginning of the year but gradually moved to the bearish side. He noticed that the previous leading stocks had stopped rising and had been overtaken by new companies. He therefore traded long on the new leaders but opened short positions on the previous leaders. He followed this tactic until the new leading stocks also weakened. Finally, the bear market kicked in and prices broke further prompting Livermore to double to short positions. 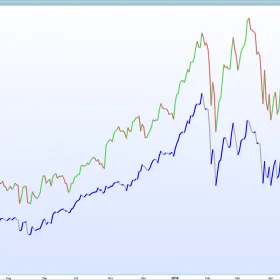 Livermore makes the point that the bear market conditions can start long before prices start to fall. In this case, it is wise for the trader to wait for prices to start to fall before entering a large short position. Exactly the same applies in a bear market, it can take months or even years before prices are able to start going higher. Being on the right side of the trade meant that Livermore was able to benefit from unexpected large moves in his favor. The 1916 fall in stock market prices took time to arrive. But once it did arrive each successive lurch downwards increased his paper profits. Such a large position can be difficult to exit without pushing the market against you. Livermore took his profits only when the market had moved a significant distance and was able to absorb all his outstanding short positions. As a big trader, Livermore always had to have a careful eye on how he was going to exit a position. Smaller traders do not usually need to worry about how their buying and selling will affect the market. However, every time we enter a trade we must always plan how we are going to get out of it. We should always know our exit, whether the position is profitable or not. Many of the subjects referred to in the book are no longer an issue for modern-day traders. Market supervision is much stronger than it used to be. Markets move much quicker than they used to. However, we can always rely on the markets to reflect the people that invest and trade in them. This means that all markets will be prone to behaving irrationally. Be patient. It took one of the greatest traders of his generation 12 years to understand the markets well enough to make big money. Despite all his skill and hard work he still blew up his account on multiple occasions. 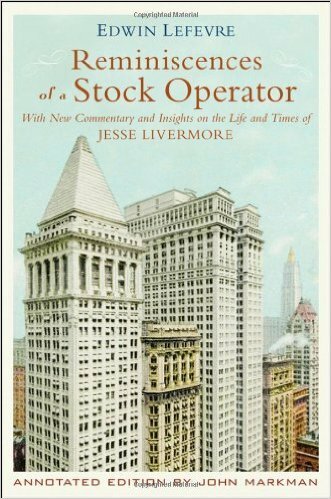 This entry was posted in Essential Traders Library, Trading Books and tagged Jesse Livermore, Reminiscences of a Stock Operator.